* Starts off with a nose-itching peppery citrus. * It feels very old school masculine – like a ’70s powerhouse for active guys with money. * Up next is manly florals – subdued violets and rose. They are definitely present but not screaming, with a hint of earthy patchouli grounding them. * It is this point that a hint of oud comes in – not skank or animalic, but woody and aged. * The base is woods and fruity patchouli. 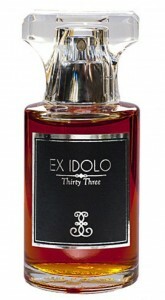 Summary: Ex Idolo Thirty Three is a fragrance you have to skin test for yourself. Every review I read is a bit different and it wears on me a bit differently each time. My writeup is like the average experience – sometimes it’s very fruity rose, and at other times it’s bone dry. It really lives on your skin and amps up your natural chemistry. One common touch is that it is never “oud in your face.” There is oud in the base, but it is a supporting ingredient rather than the main focus. Some might classify this as a classic rose oud blend but I strongly disagree. It is overtly masculine and powerful, yet also classic and refined. Longevity is good – lasting more than 8 hours – and the base will need to be washed off for it to go away. It is also a scent that is affordably priced for what you are getting. If this was sold by Tom Ford or Kurkdjian, it would cost three times more. If you are looking for a non-aggressive oud, this is definitely worth testing. 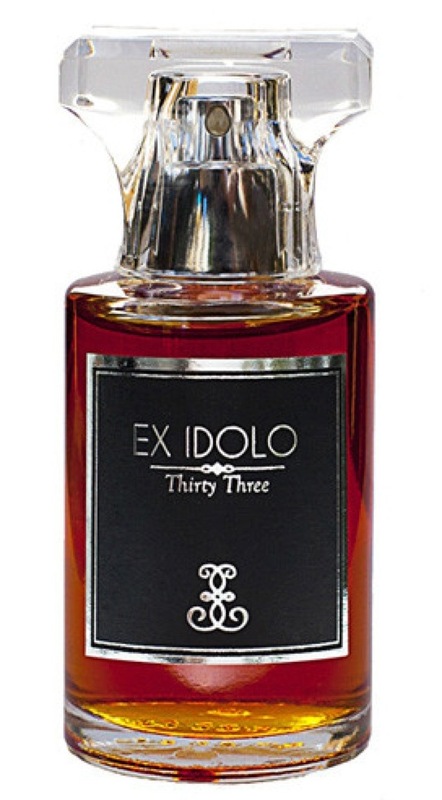 Ex Idolo is available from Twisted Lily and Lucky Scent. No disclaimer needed – purchased a full bottle. Image courtesy of Twisted Lily.